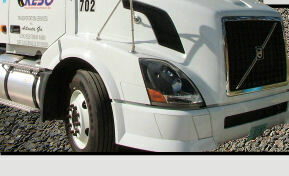 Kebo Transportation Services is a freight carrier based in Atlanta, Georgia and servicing 12 South-eastern states and points beyond; delivering truckload freight for several major corporations as well as brokering freight throughout the country. Warehousing and distribution is also available. We handle over 15,000 loads a year just in the Southeast for all types of customers, and can work with your company to come up with the perfect logistical fit.